Earwigs are fascinating insects belonging to the Dermaptera insect order. The insects are predominantly creatures of the night and are rarely viewed during daylight hours. Earwigs are typically brown, black, yellow or red and have long bodies. The insects prefer living in the woods. Yet some homeowners do find earwigs residing in their homes, especially in damper locations such as bathrooms, kitchens and basements. Earwigs do not bite people but prefer pinching or stinging them with their forceps. The sting may cause pain but does not present an emergency situation. Earwigs benefit humans in that they enjoy eating other insects. On the other hand, earwigs are pests in the common garden or commercial agricultural field because they also enjoy munching on plants including fruits, flowers and leaves. 1. Female earwigs are devoted to their offspring. A female earwig is fiercely devoted to her children. Unlike most other insect species, earwig moms stay with the eggs and the baby earwigs until the babies are able to fend for themselves. 2. Earwigs are world-class travelers. Even though earwigs have wings, they are not especially adept at flying. Instead, the insects have become used to traveling via suitcases, laptop covers, books, magazines, cars, trucks, fruits and vegetables. People planning to go on trips need to zip up their suitcases the night before they leave for the airport. Otherwise, travelers may find earwigs crawling all over their socks when they reopen their previously packed suitcases. Based on what is most likely a false rumor, an earwig does not typically crawl into a person's ear in the middle of the night. Although the earwig received its unusual name because of the myth, statistics show that the insect does not cause brain damage. Although an earwig might have a temptation to enter a warm, cozy ear canal, the likelihood of this event occurring is minimal. Additionally, the rumor that a female earwig lays her eggs inside a person's ear has not yet received the factual stamp of approval by scientists. 4. Earwigs become adults within a short time. The average earwig grows into adulthood in approximately three weeks to two months. The insects live for approximately one year. Consequently, earwigs maturing in about two months have already used up approximately 16 to 17 percent of their total life spans. 5. Earwigs Protect themselves by emitting horrible odors. An earwig possesses a powerful protective mechanism in the form of a revolting and offensive stench. At Sorenson Pest Control, exterminators have been combating earwigs for more than three decades. Homeowners detecting earwig infestations inside their homes benefit by contacting Sorenson Pest Control. 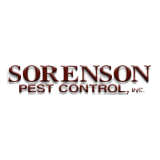 We at Sorenson Pest Control, Inc. are committed to using the highest quality products, and providing, the highest quality service, with customer satisfaction our main goal. 04 February 2019 I Have Bees in My House-Now What? 01 January 2019 Do Mouse Traps Work on Rats?